IVJ: Your Facebook page Poetry Contests for a Cause promotes poetry/fundraising projects. How did you become interested in mixing poetry with fundraising opportunities? 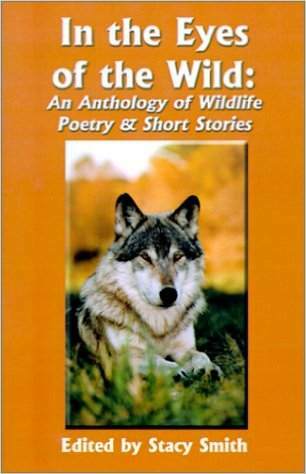 SS: It started in 2001 when I published my second book, “In the Eyes of the Wild”. I just had the thought to have the proceeds from the book go to Wildlife Forever. I am a big time nature lover and wanted to do something to give back to Mother Nature and her wild children by celebrating their poetic beauty and raising money at the same time. I enjoyed helping the charity so much that I kept it going and continue to publish books and have contests to benefit different charities. I figure if you are going to write poetry, why not make that poetry go towards a good cause. Hence, the name of my Facebook page, Poetry Contests for a Cause. IVJ: The royalties of seven of your eight books published have benefited various charities, so I have to ask...What inspires you? SS: All of my books except for one are anthologies. I enjoy giving the poets an opportunity to be a part of my fundraising efforts and at the same time getting their work out to more people. I would say that what inspires me is the ongoing support of the poets who are a part of my projects. They help me to help charities. I was so impressed with the last project I did, which was a poetry contest to raise money for the local Humane Society. There was $1 per poem entry fee and many of the poets enclosed extra for a donation for the Humane Society. $350 was raised from the entry fees and that was only in a two week period. Poets rock! IVJ: Can you tell us which charities you've worked with? SS: Yes, to name a few, I have raised money for Wolf Creek Habitat, One Love Foundation, Riley Hospital for Children, and Indiana Natural Resources Foundation’s “Discovering the Outdoor Fund”. The project that I thought was the most fun was when I worked with a woman from Scotland who was doing the same thing I do. She was publishing a nature magazine called “Earth Love” and every issue benefited a different charity. I thought why not put our efforts together and publish a book, “Leaves of Poetry”, that benefited a nature charity, which was Ancient Forest International. Earth Love is no longer published but I just thought it was such a neat experience to work with someone who was doing the same thing as me on the other side of the world and has the same appreciation for nature that I do. IVJ: I recently published works from a 90 year-old author who states he began writing poetry at the age of 87. How old were you when you became interested in writing poetry? SS: I was 25 when I wrote my first poem and I am now 40. I started writing a few months after my sister passed away because it just seemed to help get my mind off everything and bring me comfort. The first poem I wrote was “From an Eagle’s View”, which is the most popular of my poems to date. It has been used for school projects, school yearbooks, on the hood of a racecar for a non-profit organization, at an eagle exhibit at a wildlife refuge, in a YouTube campaign ad for someone who was running for Congress, and most recently, in the Indiana Istep test that was read by approximately 80,000 students. IVJ: That's quite an accomplishment. Which authors or poets influence your work? SS: I can’t exactly say that a particular poet influences my work, but I can say that James Whitcomb Riley is my favorite poet. I think he was a very talented writer and I especially like that he was a rhymer. I am a rhymer myself. Rhyming poetry is not very popular anymore and many publishers even frown upon it. That has never stopped me from being who I am. Before Riley became an established poet, he pulled off a poetry hoax that got him fired from the newspaper that he was working for here in Anderson. After he wrote as himself and showed the world his amazing talent, he became very famous and will forever be known as “The Hoosier Poet”. Riley learned that it pays to be yourself and that’s what I do. I have been told at a couple open mic poetry events to stop writing in rhyme. I will never stop writing in rhyme. It’s who I am and that is me. A rhyming poet I’ll always be. IVJ: Indiana has a rich literary heritage. What was it like being a judge for the Best Books of Indiana competition in the poetry category? SS: I was so thrilled when the director of the competition asked me to be a judge. It made me feel like I was somebody and I was glad to do it. He end up asking me a couple years later to be a judge again and I was very honored to be a part of the competition twice. Unfortunately, they do not have the Best Books of Indiana competition anymore, which saddens me because it was a neat way for Hoosier authors to be recognized. The competition was held by the Indiana State Library. I got involved with the library again in another way a couple years ago. I had a rhyming poetry contest and the proceeds from that went to the first and second place winners in two categories in the annual River of Words competition, which is for youths. I presented the awards to the winners at the awards ceremony that the library held. I would say that that is the most fulfilling and amazing experience I have ever had in all my projects. I just felt so proud to be a part of that and to see all those students that filled the room – a new generation of poets and writers. Not only was I a part of that, but the director of the program published all the entries in a book and mentioned my name twice in the book. The cover of the book mentioned me as a partner. Well, sort of. It said “Poetry for a Cause”, and my Facebook page where I post all my projects is “Poetry Contests for a Cause”. A little error but I was so honored that they thought of me and my cause and seemed to truly appreciate my part in their wonderful project. They asked me if I would like to be a part of it again sometime and I definitely plan to. IVJ: What are your current projects, and/or what do your plans for future projects include? SS: One of my goals is to looking into Poetry Contests for a Cause becoming a nonprofit organization. If it became a nonprofit and I could get grants, I could raise more money for charity and get more exposure for poets. My current project is a Christmas poetry anthology. I am taking submissions through August 15. The book will benefit Operation Gratitude, which is an organization that sends care packages to U.S. military. The proceeds will go to the organization along with copies of the book to send in their care packages. I've organized a new poetry contest to raise money for a charity that needs donations to build a bigger enclosure for their non-releasable bald eagle. The Indiana organization educates the public on birds of prey and the bald eagle goes along with them on many of their programs. I was inspired by the eagle and sent them a poem I wrote about it a couple years ago. 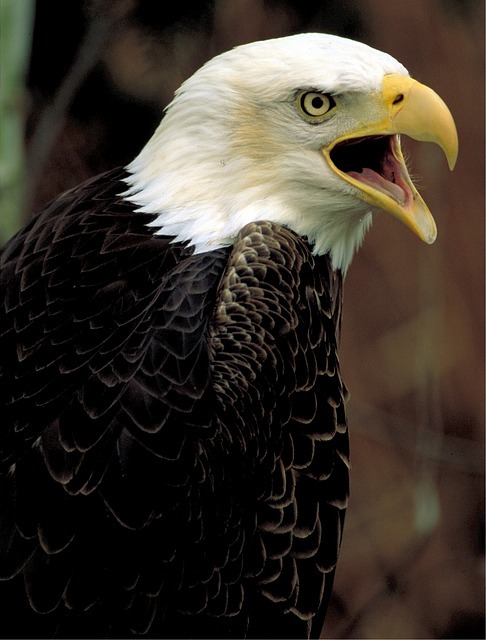 I hope to meet the eagle in person someday. Send submissions, along with the entry fee and a cover sheet with name, address, email address, and titles of poems submitted, to: Short Verse Poetry Contest, 3121 Mounds Road, Anderson, Indiana, 46016. Make check payable to: Stacy Savage. The deadline for entries is August 31, 2015. The contest judges are Stacy Savage and Janine Pickett. The winner will be announced on the Facebook page, Poetry Contests for a Cause, on September 16. IVJ: Will you share a few of your poems with us? SS: Yes, I would be honored to. I am very grateful that you invited me to be a part of your nature issue. That is definitely right up my alley and I thank you for thinking of me. Of which he grew fond. And a naturalist fit him well. Let’s show her her worth! For this gift of Mother Earth. And she dropped out of sight. Or from this world did she part?